A Little Tint. A Lot of Moisture. Two Shades. One Healthy Glow. A .33 fl oz Lip Oil Moisturizer and Tint of Color. This hybrid balm-gloss revives dehydrated lips with luminous shine and a kiss of color. 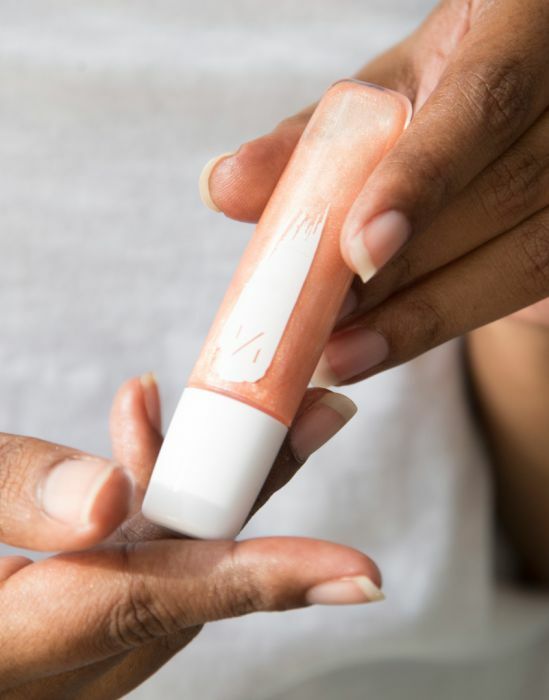 Our non-sticky formula leaves lips feeling soft, smooth, and moisturized. Organic Olive Oil: A lightweight moisturizer that protects and smooths lips with vitamins A and E.
Organic Rosehip Oil: A nourishing oil rich in essential fatty acids and antioxidants known to help boost skin healing and renewal. Organic Coconut Oil: A powerful skin softener that contains high concentrations of vitamin E to soothe cracked lips. Natural Polymer: A biodegradable and non-comedogenic conditioning liquid derived from rapeseed oil that protects lips while providing multi-dimensional shine. A generous dose of coconut oil in your morning smoothie keeps lips hydrated from within. 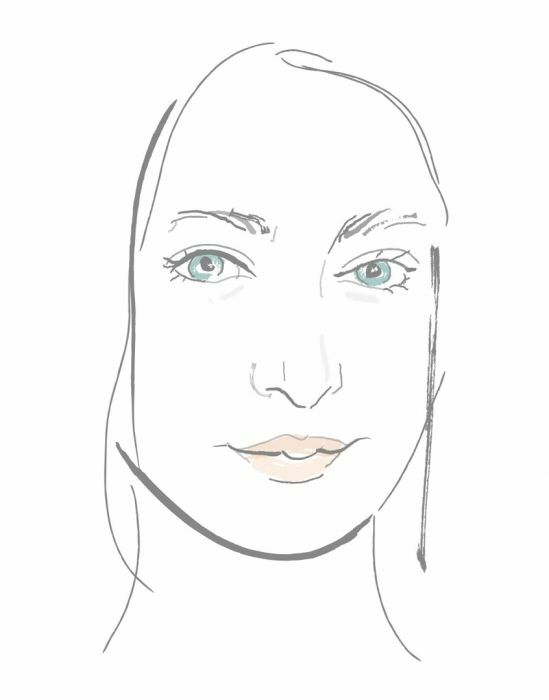 Regularly add lip oil for maximum nourishment and a glossy shine. Water/Aqua/Eau, *Rosa Canina Fruit Extract (Rose Hips), *Camellia Sinensis (White Tea Leaf Extract), *Camellia Oleiferra Leaf (Green Tea) Extract, *Punica Granatum Extract (Pomegranate), *Sambucus Nigra (Elder Flower Extract ), *Chamomilla Recutita (Matricaria) Flower Extract (Chamomille), *Panax (Ginseng) Root Extract, *Fucus Vesiculosus Extract (Bladderwrack) (Seaweed), *Equisetum Arvense Extract (Horsetail), *Daucus Carota Sativa (Carrot) Extract, *Rosa Canina (Rose Hips) Seed, *Malva Sylvestris (Mallow) Extract, *Borago Officinalis (Borage) Seed Extract, *Ginkgo Biloba Extract, *Trifolium Pratense Extract (Clover Extract), *Citrus Grandis (Grapefruit) Fruit Extract, *Humulus Lupulus (Hops) Extract, *Cucumis Sativus (Cucumber) Fruit Extract, *Ilex Paraguenis Leaf (Yerba Mate), *Aloe Barbadensis (Aloe Vera Leaf Extract), *Althaea Officinalis Root Extract (Marshmallow Root Extract), *Macrocystis Pyrifera Extract (Kelp), *Porphyra Yezoensis Extract (Seaweed), Glycerin (Natural Vegatable Oil), Caprylyl / Capryl / Glucoside, Glyceryl Caprylate, Propanediol, Psidium Guajava Leaf Extract, Glycerin, Magnolia Officinalis Bark Extract, Citrus Nobilis (Mandarin Orange) Peel Oil, Citrus Aurantium (Neroli) Oil. This is a new shade of our top selling product, Base Glow. Sheer Bright is perfect for cooler skin tones. This skin-illuminating liquid face luminizer is packed with nourishing oils and organic botanical extracts that leave skin feeling just as healthy and glowy as it will look. 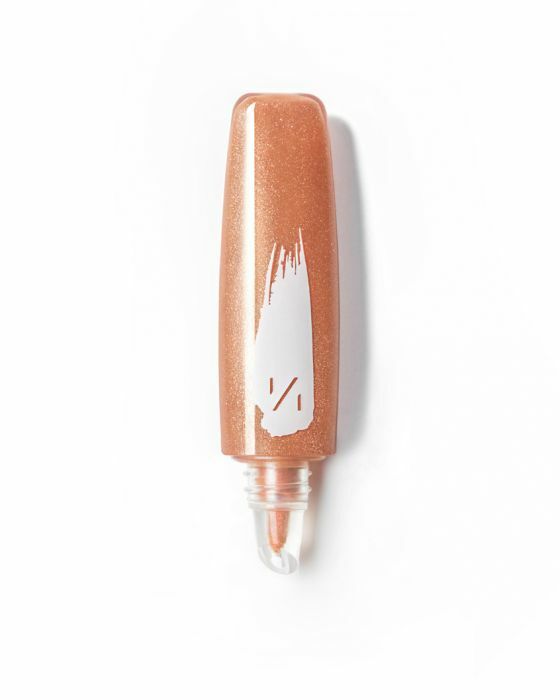 Base Glow Sheer Bright has a light, pink undertone that warms up cool-toned complexions, evens out discolorations and blurs imperfections. Apply all over skin after moisturizing and before makeup application to add a subtle, radiant warmth to skin, as if glowing from within. Or, use as a highlighter wherever a touch of light is desired. Sheer Bright is also great for use as an under-eye concealer for all skin tones. KEY INGREDIENTS Bitter Orange Extract: A mild astringent that helps balance and control facial oil. Organic Aloe Vera Juice: A cooling moisturizer known to soften, tone, and hydrate skin while reducing redness. Organic Sesame Oil: A natural skin hydrator high in linoleic acid to boost radiance and seal in essential moisture. Organic Rosemary Leaf: A nutrient-dense extract rich in antioxidants to fight free radicals and bacteria while toning skin. Organic Green Tea Leaf: A potent skin superfood that preserves elasticity with glow-boosting antioxidants and polyphenols. DIRECTIONS: A good night's sleep gives the best natural glow. Enhance it with a sheer layer of our Base Glow over your entire face or dab wherever light naturally falls. A 1.1 fl oz Liquid Luminizer for the Face for All Skin Tones. This sheer highlighter is packed with nourishing oils and botanicals that leave your skin feeling just as healthy and glowy as it looks. Apply a sheer layer over pre-moisturized skin for a subtle, radiant warmth, or use as a highlighter wherever you want a touch of light. 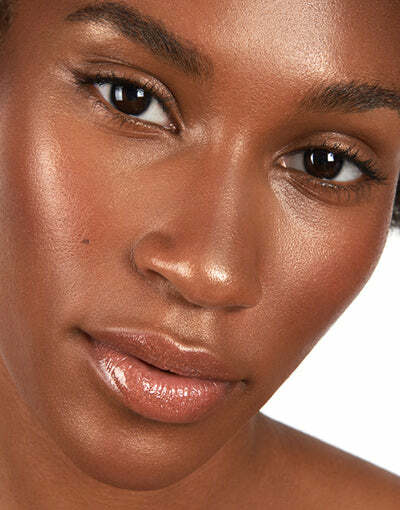 Base Glow is a universal shade the blends with all skin tones for a soft dewy look. KEY INGREDIENTS Organic Sesame Oil: A natural skin hydrator high in linoleic acid to boost radiance and seal in essential moisture. Organic Thyme Leaf: An herbal extract that balances oil production and prevents shine while minimizing breakouts. Organic Sage Leaf: An antibacterial ingredient used to prevent scars and signs of aging. Organic Aloe Vera Juice: A cooling moisturizer known to soften, tone, and hydrate skin while reducing redness. Avocado Oil: A soothing oil high in sterolin, a nutrient known to soften skin and prevent age spots. Orange Blossom Extract: A precious essence that purifies pores and soothes skin. Directions: A good night's sleep gives the best natural glow. Enhance it with a sheer layer of our Base Glow over your entire face or dab wherever light naturally falls. A .10 oz Cream Blush, Bronzer & Highligher for Cheeks, Eyelids and/or Lips. This sheer vitamin rich all over color/ tone duo gives you that-just-worked-out healthy glow. Just swipe on cheeks, lids, lips and face with a finger and blend to achieve a healthy flush. Formulated with organic oils and cocoa butter, Duotone Cream Color is a moisture packed touch of color for your whole face. KEY INGREDIENTS Organic Orange Peel Butter:A brightening ingredient rich in vitamin C to enhance skin's natural glow. Organic Sunflower Oil: A lightweight oil known to moisturize and protect skin with a powerful dose of vitamin E. Organic Sesame Oil: A natural skin hydrator high in linoleic acid to boost radiance and seal in essential moisture. Organic Cocoa Butter: A natural skin soother high in essential fatty acids to help neutralize free radicals and soften skin. Directions: Morning movement gives skin a natural blush. Boost it with a touch of bronze for warmth and a hint of color on the apple of your cheeks. A .33 fl oz Lip Oil Moisturizer and Tint of Color. 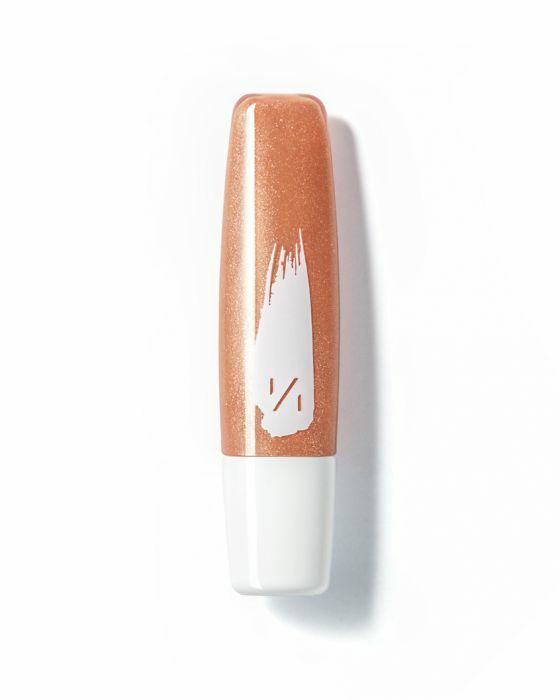 This hybrid balm-gloss revives dehydrated lips with luminous shine and a kiss of color. Our non-sticky formula leaves lips feeling soft, smooth, and moisturized. KEY INGREDIENTS Organic Olive Oil: A lightweight moisturizer that protects and smooths lips with vitamins A and E. Organic Rosehip Oil: A nourishing oil rich in essential fatty acids and antioxidants known to help boost skin healing and renewal. Organic Coconut Oil: A powerful skin softener that contains high concentrations of vitamin E to soothe cracked lips. Natural Polymer: A biodegradable and non-comedogenic conditioning liquid derived from rapeseed oil that protects lips while providing multi-dimensional shine. Directions A generous dose of coconut oil in your morning smoothie keeps lips hydrated from within. 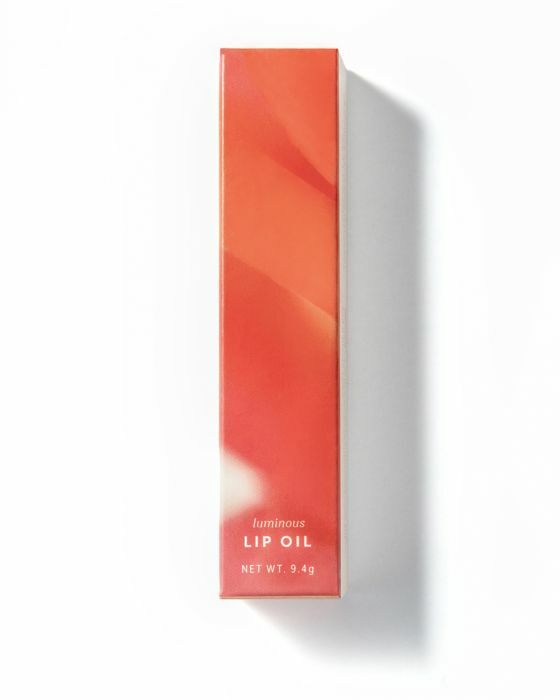 Regularly add lip oil for maximum nourishment and a glossy shine. Copyright © 2018 One Over One. All rights reserved.